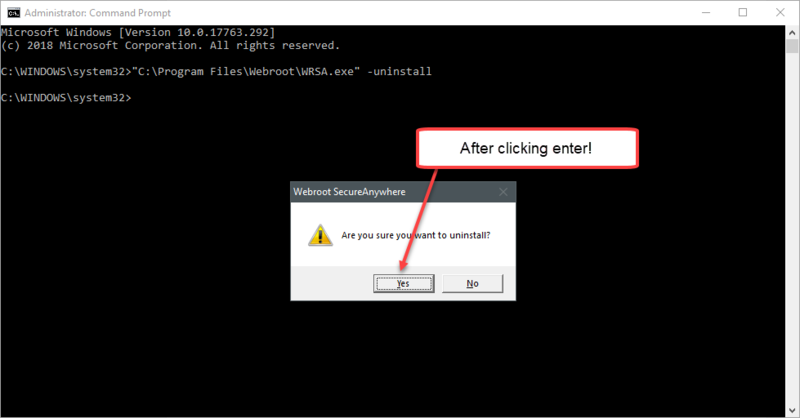 I cannot uninstall webroot from a customer's computer using add/remove programs. 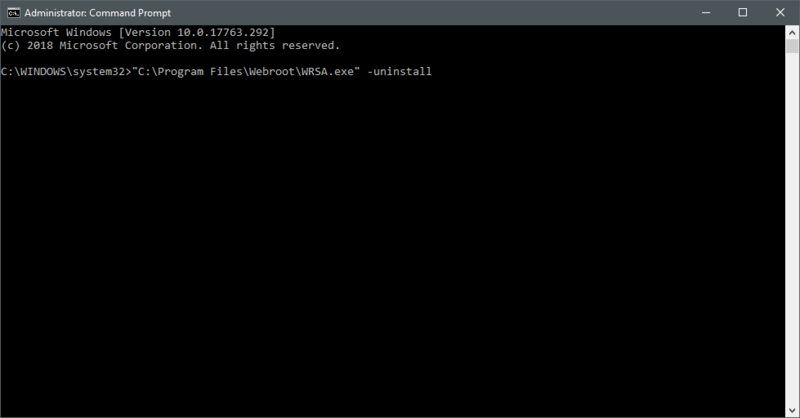 I tried "C:Program Files (x86)WebrootWRSA.exe" –uninstall" and it says "are you sure you want to uninstall" and I say yes, then it says it's being managed by the central console and I have to make the changes there. BUT, the machine doesn't' show anywhere in the console. It was remove from console but it didn't remove software from the workstations. The dashes are missing and should be in there! Hello @jbensheimer and Welcome to the Webroot Community! Please let us know if it works! And if it doesn't please Submit a Support Ticket and they will help you sort it out. I just tried the above to Uninstall and it doesn't work for me on Win 10 x64 1809 so I'm chatting with support about this issue as it's been awhile since I tried to use this to Uninstall..